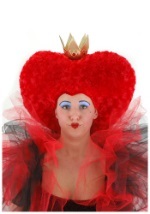 Make a few power plays in Wonderland in our platform Queen of Hearts shoes! 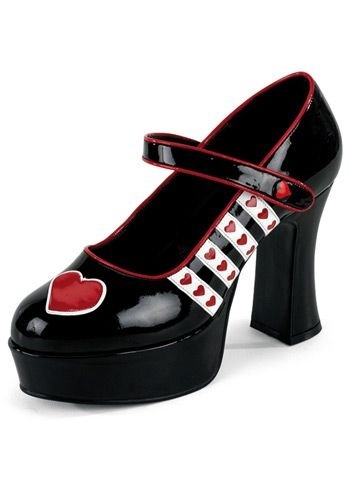 The black mary janes have a patent leather exterior with grips on the bottom for easy walking. A strap crosses over the top and velcros on the side for a secure fit. The strap and entire shoe are lined in red and features red and white heart accents on the sides as well as over the toe. 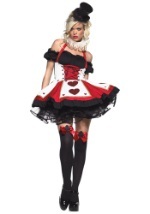 Let there be no mistakes as to who you are by pairing these shoes with any of our Queen of Hearts costumes!